Lava threatens a small Hawaiian town, an American nurse has been released from quarantine, and Wegmans has a day in court. Five major news stories from the nation and our own back yard, in case you missed it. 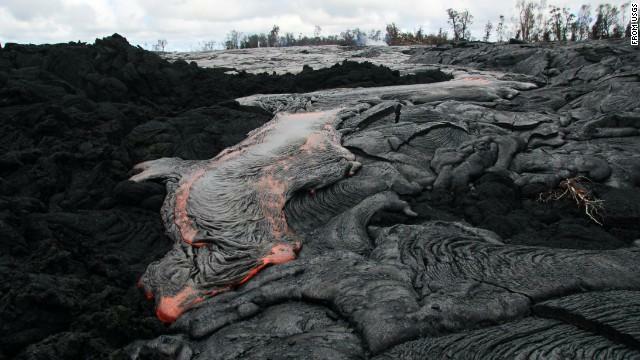 The village of Pahoa has an unwelcome new neighbor: lava. Following an eruption of the nearby Kilauea Volcano, the flow of lava has maintained a steady path towards the small Hawaiian village. Recent reports state that the lava is moving 10 to 15 yards every hour and is as close as 100 feet from homes. Most of the village's residents have fled. Kaci Hilcox, an American nurse who recently returned from Sierra Leone, was released from quarantine yesterday after testing negative for Ebola. She was placed under quaratine as a preventative measure that was employed only days earlier. The policy places anyone in contact with Ebola patients in a mandatory quarantine. Hilcox, however, felt this violated her legal rights. After testing negative for Ebola, she was released and arrangements are being made for her return to Maine. Following an email scandal, PA Supreme Court justice Seamus McCaffery has resigned from office. This comes after four of his fellow justices voted to suspend him from the bench. Previously a police officer in Philadelphia, McCaffery was elected to the position in 2007. He was expected to win a rentention election in 2017 and serve until 2020, when he would meet the mandatory retirement age of 70 years old. With elections looming and everybody wondering who will win, Mercyhurst University officials have released results from two polls they have conducted. The polls, done by 120 Political Science students, took place in September and October. Over 500 registered voters of the Congressional 3rd District were called and asked about their voting preferences and what they thought of Congress. After ten years of out-of-court deliberations, Wegmans and Millcreek School District will be settling a dispute in court. Millcreek Schools want the grocery store's property taxes to nearly double, while Wegmans wants to cut their taxes nearly in half. Senior Judge John Bozza will preside over the case, and is expected to deliver a result within the enxt few weeks. His decision will either come as a massive break for Wegman's or as added revenue for local taxing bodies.